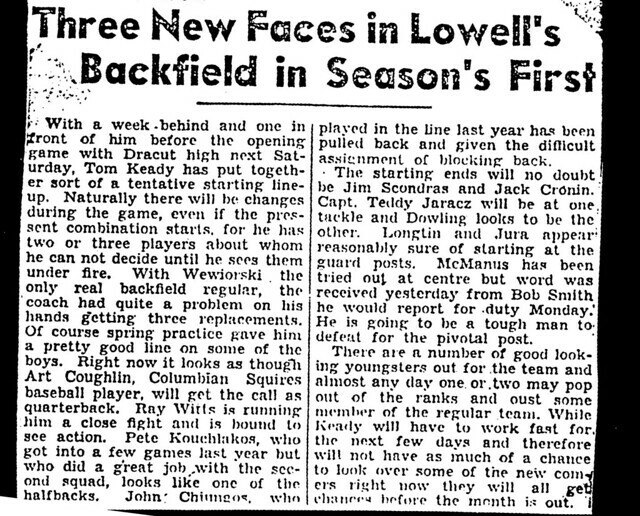 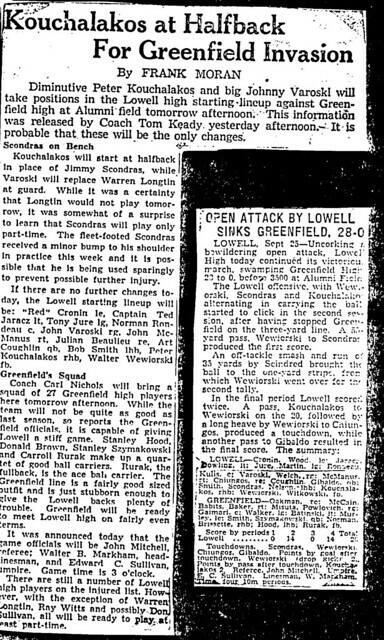 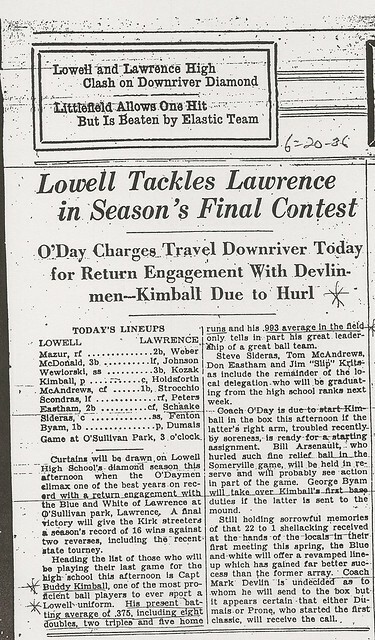 Walter Wewiorski was another of the great all-around athletes of Lowell High School in what might be considered LHS’s “Golden Years” for outstanding athletes–in the 1930’s. 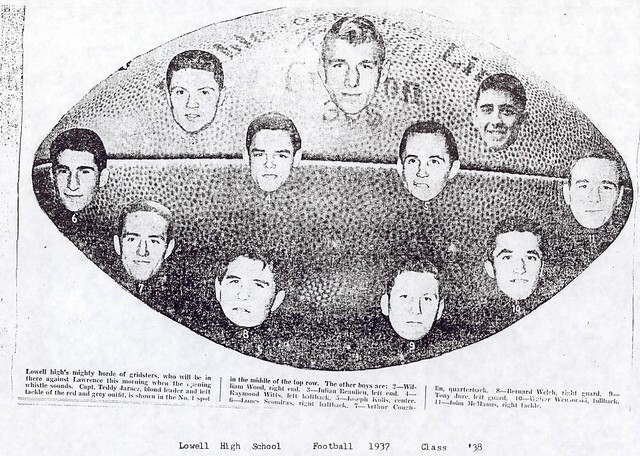 On the gridiron Walter was a versatile performer–a rugged fullback who also possessed a strong passing arm and a hard-nosed linebacker. 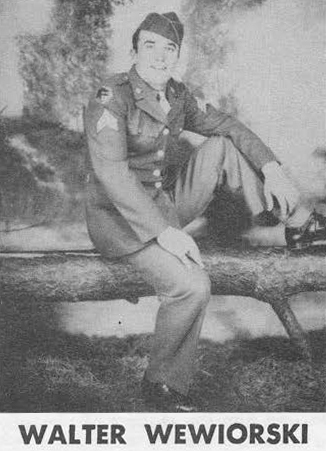 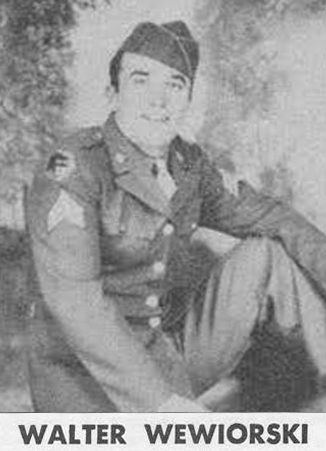 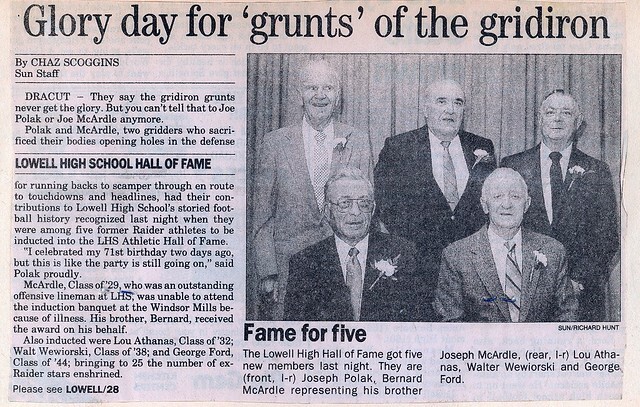 He was a unanimous All-State selection as fullback in 1937, his senior year. 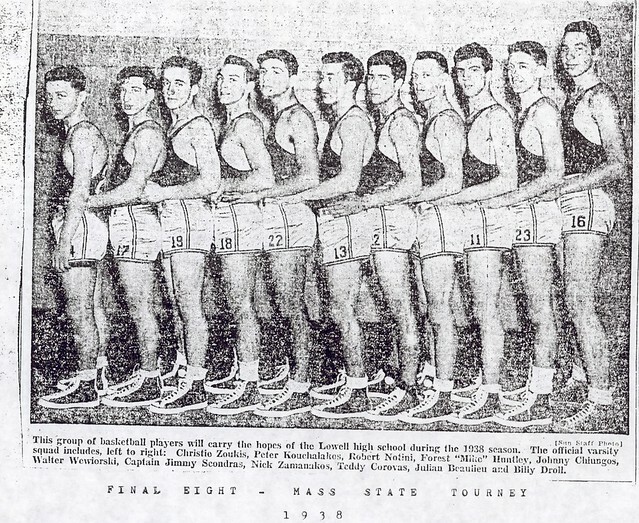 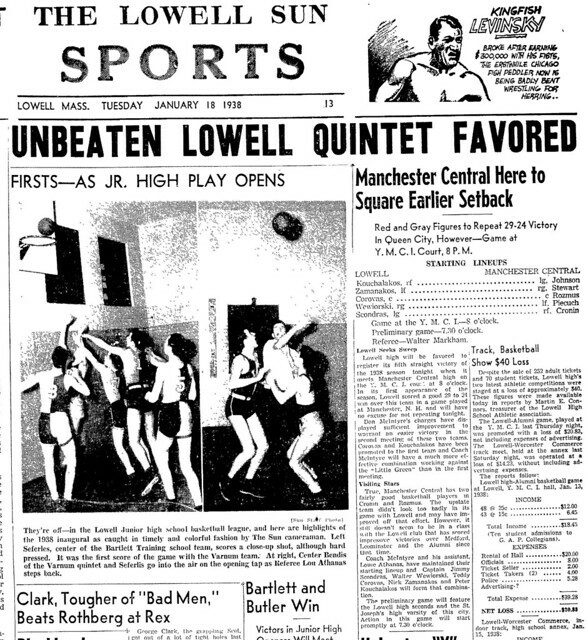 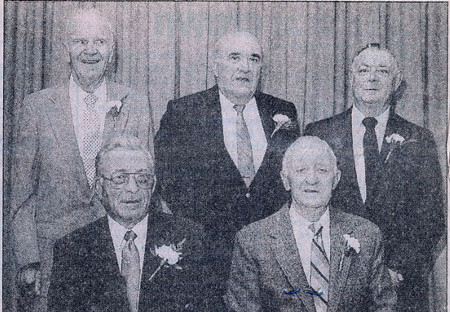 Walter was also a member of Lowell High’s 1938 Tech Tournament Basketball Team. 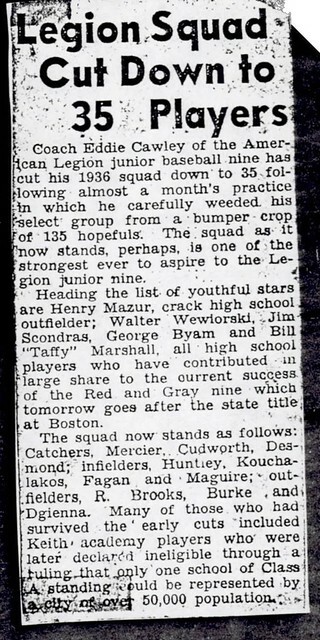 On the baseball diamond, Walter was a three-year performer at shortstop strong defensively and a solid hitter. 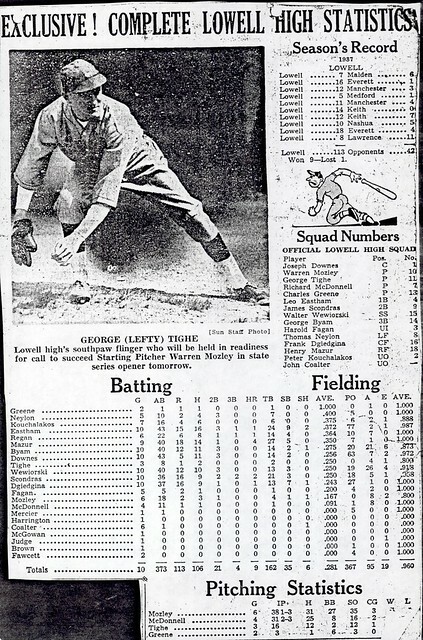 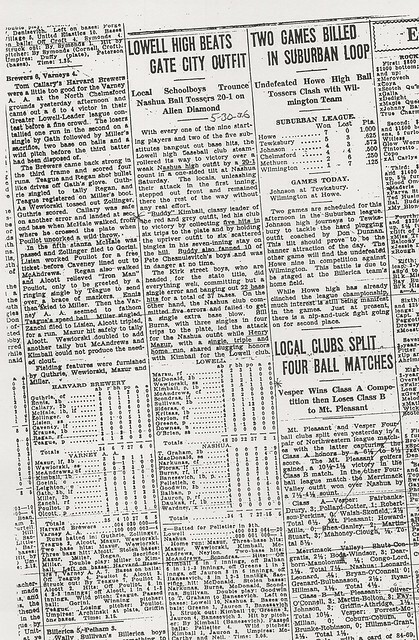 He earned All-State honors in baseball in 1938.